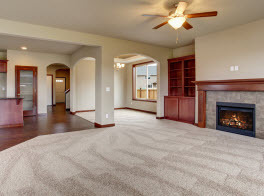 Investing in high-quality carpets is an investment that no one should take lightly. Carpets are not only to cover the subfloor, but they are designed to provide a little extra comfort and complete and overall look of a room. Manufacturers recommend daily vacuuming, immediate treatment to spills, and professional carpet cleaning once or twice a year to maintain the vibrancy, condition, health, and longevity of your carpets. Because professional carpet cleaning can leave consumers with many questions, we at Green Co Carpet Cleaning would like to answer a handful of the most frequently asked questions concerning professional carpet cleaning. Is professional carpet cleaning affordable? – As a competitive industry, consumers will often a range in pricing. Carpet cleaning companies know there is competition and will set their rates to make it affordable. Having to replace your carpets because of neglect is far more expensive. How long does carpet cleaning take? – It is not a definitive answer as to how long the process takes as there are many variables. Such factors include the methods used to clean the carpets, the size of the carpets being cleaned, how many rooms are being done, and so on. The technician can give you and estimate. Will my family’s daily activities be interfered with a professional carpet cleaning? Most carpet cleaning professionals work on your schedule and come when it is most convenient for you and your time. The foot traffic has to cease during the process and between 6-8 hours following the service to let the carpets dry. How often should I deep clean my carpets with pets etc? – Industry experts and manufacturers recommend the carpet are cleaned every 6-12 months, or more often if needed. Even if the carpets don’t look like they need a deep clean, they should be professionally cleaned regardless to preserve the condition of the carpets, the health, longevity and to prevent odors. Keep in mind, that most carpet warranties are not valid without proof of routinely scheduled professional carpet cleaning visits. How long to wait after carpet cleaning? – Professionals ask that no one walk on the carpets for 6-8 hours, or until they are fully dry and wait to move heavy furniture after 48 hours. What to do before the carpet cleaning crew arrives? 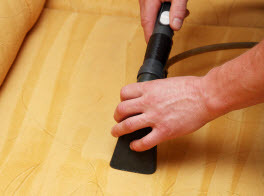 – In the rooms where carpet cleaning services are being performed, remove the fragile items from the furnishings along with the light furniture and items such as dog beds, toys, and rugs. Removing all the furniture improves the results. Will professional carpet cleaning remove dog urine & Other pet odors? 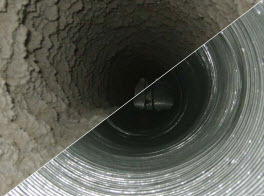 – The most effective solution for neutralizing pet odors is with professional carpet cleaning. 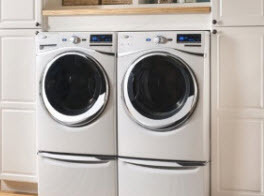 However, most companies cannot guarantee the odor removal as some instances the pet odors, particularly from urine, can cause excessive damage. Can professional carpet cleaning remove fleas in my carpet? – Professional carpet cleaning companies cannot guarantee the removal fleas during the service though it does help. For your carpet cleaning needs in the Greater Los Angeles, California area, call the specialists of Green Co Carpet Cleaning.